Last updated 18 December 2018 . By Georgia Evans. 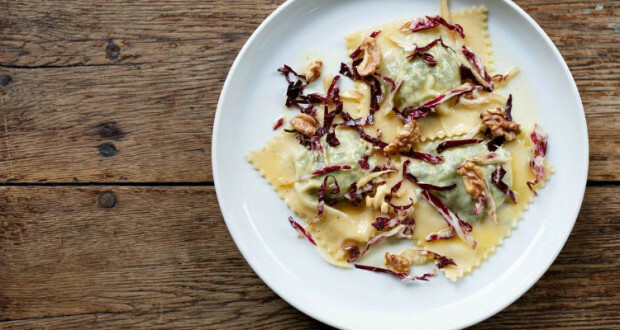 Brixton will be getting a new restaurant inspired by regional dishes from coastal southern Tuscany, an area famed for its saumi, seafood, olive groves and vineyards. In traditional Italian style, the menu is split into four sections; antipasti, primi, secondi and dolce, featuring mouthwatering dishes such as la bistecca alla Fiorentina, aka the Florence steak, wild boar prosciutto, and tortelli Maremmani, a spinach and ricotta tortellini. For those seeking a traditional winter warmer, the acquacotta sounds like a perfect fix. This traditional Tuscan soup is a peasant dish meaning ‘cooked water’, and is served with a poached hen’s egg. Meanwhile, the Spuntini menu is on offer for those who’d like a lighter bite, with focaccia, leccino olives or seasonal arancini available alongside classic Italian cocktails to toast aperitivo hour. Of course the wine offerings are of the finest quality, with bottles sourced from small Tuscan producers from Bolgheri, Val di Cornia and the Island of Elba, which will be available for the first time in the UK. Located on the corner of Brixton Water Lane, the space itself is open and airy with a quartz-topped bar and oak tables from the Maremma region. The decor reflects its Tuscan influence with its green, terracotta and blue colour scheme running throughout. Downstairs, there is a wine cellar and private dining room, indicated by the newly-restored original signage.